Luxurious finishes and statement architectural details come together to create elegance and the highest caliber that flow through this home Welcome to well established Rocksprings Ridge. Semi-custom home. SALT POOL ON HALF ACRE. OWNER'S SUITE IS LOCATED ON THE FIRST FLOOR! Wonderful soaring ceilings and so many enviable details throughout. 42 in CUSTOM wood, GLAZE FINISH, SOFT CLOSE CABINETRY, top quality gourmet kitchen appliances, granite, island. This home is nothing short of IMPRESSIVE! Very, very GENEROUS room sizes in all bedrooms, large loft with built-in concession stand! Perfect theater or game-room. Wood Cased Windows, cased light switches, wascott & great details everywhere you look! Front porch! Wolf Lake "A" RATED and Highly desired schools! Apopka is an amazing location offering easy access to Orlando, theme parks without the heavy traffic! 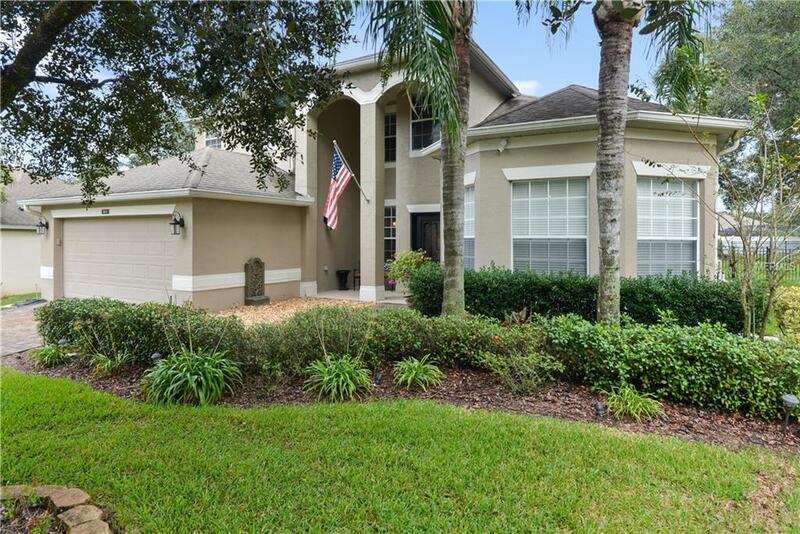 Kelly Spring, Wekiwa and Rock Springs parks, Northwest recreation center, Wekiva Parkway, 414, 429 within minutes making this home fantastic for those wanting a beautiful home, great schools and lots of outdoor activities, sports, canoeing, natural springs & theme parks! Quality of life! !